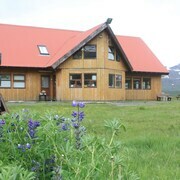 Situated by the ocean, this lodge is 2.2 mi (3.5 km) from Dalvik Church and 7.1 mi (11.4 km) from Hamar Golf Club. Hotel Akureyri Dynheimar is actually not quite done being constructed. 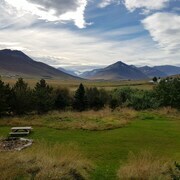 I received an e-mail a day in advance that my room was upgraded at their sister hotel, "Hotel Akureyri Skjaldborg" which is right next door. We had a great view on the 4th floor (no elevator) but the room was room was cozy and clean. Good location, easy to walk into "downtown". Where to find Dalvik hotels near an airport? 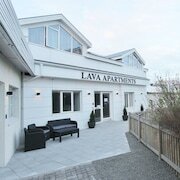 Where can I find hotels in Dalvik that are near tourist attractions? 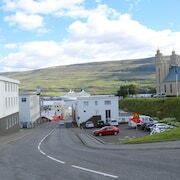 For those keen to spend some time in Dalvik, a little pre-planning is a good idea, because you won't find a lot of lodging choices in the vicinity of the town center. 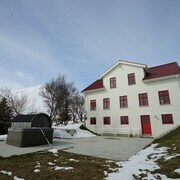 The Fosshótel Dalvík is one of the most conveniently situated hotels as it is one of a handful of choices within a comfortable stroll of the Dalvik downtown area. 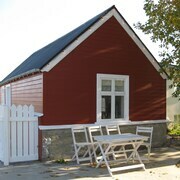 The Brimnes Cabins is located 12 kilometres (7 miles) away from downtown Dalvik. 1 kilometre (1 mile) away is the Fosshótel Dalvík which is another option. Spend a few hours visiting University of Akureyri and Akureyri Church, in Akureyri, 35 kilometres (23 miles) to the southeast of Dalvik. 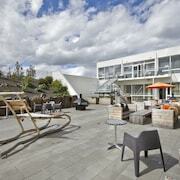 Expedia-listed Akureyri hotels and accommodations are the Hotel Kea by Keahotels and Icelandair Hotel Akureyri. 85 kilometres (53 miles) to the southwest of Dalvik, you'll also find Blonduos, home to the Hotel Blanda and Glaðheimar Cottages. The Blonduos Church and Museum of Handicrafts are just a couple of the more popular sites to see should you visit Blonduos. 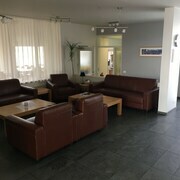 For travelers planning on arriving or departing via Akureyri Airport, you may plan to book a bed at Hotel Nordurland by Keahotels, or Hotel Edda Akureyri, both of which are close. What are the most popular Dalvik hotels? Are there hotels in other cities near Dalvik? 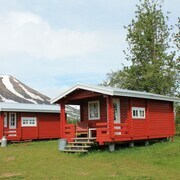 What other types of accommodations are available in Dalvik? 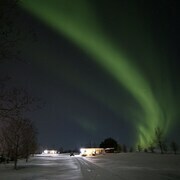 Explore Dalvik with Expedia.ca’s Travel Guides to find the best flights, cars, holiday packages and more!